Home remodeling projects are a very exciting endeavor, but they can also be stressful if you aren’t working with one of many reliable general contractors San Diego and you’re not sure where to begin. If you are a resident of San Diego who is interested in replacing your old windows, there are several things you should know before making a purchase. San Diego home remodeling projects can be daunting but, with the right information, you will be well on your way toward making exciting new additions to your home. In sunny San Diego, it’s important to have windows that take advantage of our temperate climate. Your windows should absorb as much sunlight and heat as possible, improving the lighting of your home and even saving money on your monthly energy bill. Those interested in making San Diego home additions will probably want to add some variety to their windows. Most homes have conventional square or rectangular windows, but there are several other types of windows that are available. 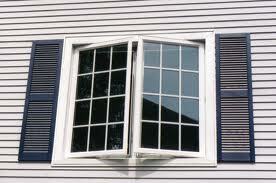 Fixed windows cannot be opened and are usually placed in high areas. Casement windows swing in and out like a door. They are opened and closed with a crank and are vertically hinged. Awning windows are similar to casements except that they are horizontally hinged. Picture windows are very big and are most suitable for large homes. If your house has a great view of the beach, installing a picture window could be the right move. Clerestory windows feature a series of tiny horizontal glass panes that are installed high on a wall. Paladian windows are a fancy design that has become popular in contemporary homes. This type features three windows that are grouped together with an arch over the middle. Double hung windows are also experiencing a wave of popularity. They have two sashes that can be shifted up and down. Sliding, elliptical, and arched windows are popular as well. Any of these windows would be a great idea for any San Diego home additions project. Anyone who is embarking on a San Diego home remodeling project should shop around before making any purchases. Hasty decisions are likely to lead to regret down the road. Check out your local home improvement stores and see who has the best deals on the windows that you need. With a little research and effort, your new windows will be an outstanding addition to your San Diego home addition project. Soon, you will have replaced your drab, bland windows with something that will be pleasant to look at. This entry was posted in Home Remodeling on February 27, 2013 by budgeit.